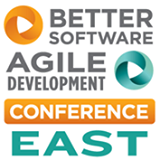 by Chad, Conferences, Comments Off on Better Software Conference East! Please join us in Boston, MA on November 11-15, 2013. Michael will be teaching his world renowned tutorial, Agile Release Planning, Metrics, and Retrospectives Workshop. Don’t miss out this class was SOLD OUT at Better Software Vegas! and get Super Early Bird discount’s!